Talk about maximum power, speed, and performance, this Pentair LX5000G Letro Legend ll 2 Swimming Pool Cleaner is the king of clean. 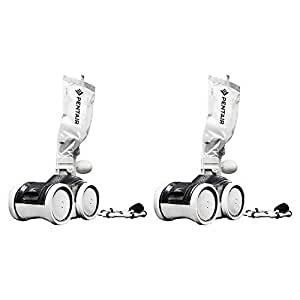 It features heavy duty, large capacity twist lock collection bag for virtually no maintenance, no tipping with the 4 wheel design, and front wheel drive for a better grip for maneuverability and sure tracking that delivers the ultimate clean. The dual jetted venturi creates an intensely powerful whirlpool for thorough cleaning and is recommended for all gunite, vinyl, and fiberglass pools. For a squeaky clean pool all summer long, snag up this Pentair LX5000G Letro Legend ll 2 Swimming Pool Cleaner.